Oliver Sacks, the neurologist whose writing helped demystify and humanize many neurological conditions, has died of melanoma that had spread to his liver. The London-born man passed away in his home in New York City on Sunday. Sacks’ work was based on his clinical experiences as well as his patients. He used the various disorders he experienced as a launching point to explore the nature of human consciousness. His subjects included patients recovering from encephalitis comas. His book Awakenings was later adapted for film—it was about a man whose brain had lost the ability to interpret what he saw, which led to the titular case in his collection The Man Who Mistook His Wife for a Hat. Among other achievements, Sacks is credited with bringing neurological disorders like Tourette’s and Asperger’s to the awareness of a wider audience. His works helped demystify these conditions and also humanized them in the eyes of his readers. He documented autistic savants and their ability to thrive, despite their disorders. Among the many other subjects he has written on, according to a partial list on his web site, are Freud, hallucinations, phantom limbs, photography, color, deafness, dreams, amnesia, twins, and pre-Columbian history. Sacks’ career was not without criticism, however. There was—and to a degree still is—controversy about his writing on his patients and the confidentiality issues involved, even though he never named them. Famously, disability-rights activist Tom Shakespeare, in accusing Sacks of exploiting his patients, referred to the doctor as “the man who mistook his patients for a literary career.” Among more personal struggles, Sacks suffered from prosopagnosia—an inability to recognize different faces. He remained active for as long as possible, even as cancer ravaged his body. In April, Sacks published three articles about the autonomic nervous system, Spalding Gray, and a cleaner world. Oliver Sacks’ final publication, an autobiography titled On the Move: A Life, was released in May. Tran, M., “Oliver Sacks, Neurologist and Awakenings Author, Dies,” The M&G Online web site, August 31, 2015; http://mg.co.za/article/2015-08-31-oliver-sacks-neurologist-and-awakenings-author-dies. 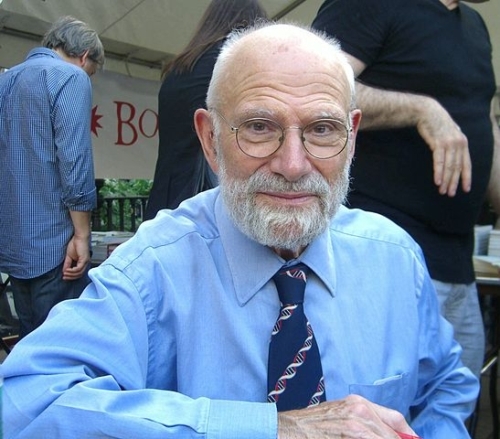 “Oliver Sacks: Neurologist Investigated Our Brain’s Strange Ways,” The Sydney Morning Herald web site, August 31, 2015; http://www.smh.com.au/comment/obituaries/oliver-sacks-neurologist-investigated-our-brains-strange-ways-20150831-gjbkyl.html. Reuters, T., “Oliver Sacks, Neurologist and Author, Dead at 82,” CBC News web site, August 30, 2015; http://www.cbc.ca/news/world/oliver-sacks-neurologist-and-author-dead-at-82-1.3209000.